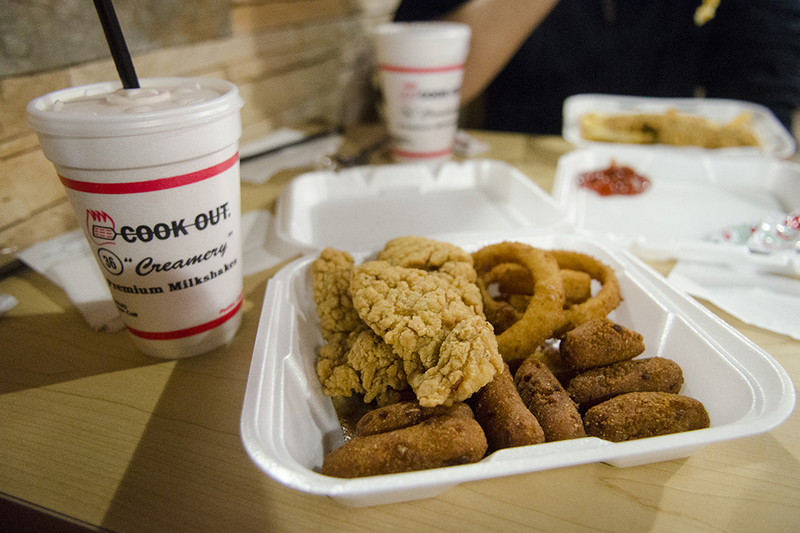 Have you ever wanted Cook Out late at night but found yourself without a ride? Or found yourself too drunk to get there? There’s an app for that! Crunchbutton is an app that delivers food from places that don’t deliver. Place an order online and pay online, then the food is delivered. After the first time ordering, payment information and your previous orders will be saved so that users can reorder the same meal with just one click of a button. The app will continually save every meal ordered for future one click ordering. The app was launched at Tech this past spring, though it is already popular across the nation at schools like Yale University and University of Southern California. At Tech, students can order food from 12 different restaurants near campus including Chipotle, Cook Out, Zaxby’s, Fresh to Order and the Varsity. The app is available on iOS and Android, as well as on the computer, so food can be ordered from virtually anywhere. Additionally, when users share an access code with their friends, they can receive free food if the access code is used. Locals also have the opportunity to apply to be a driver for the company. After filling out a minimal application and a brief phone interview, drivers can have the chance to make some easy pocket money while just simply driving around town. Not only is this a great idea, the company, based in LA, has a Buzzfeed-esque charm that allows for the possibility for huge popularity on college campuses. The design is clean and fun. When the app is first opened, customers type in their address. Then the app pulls up all the restaurants in the area where the service is available. Users then click on the restaurant of their choosing and an easy to use menu pops up. Users then order, and food is delivered directly. The app even estimates the wait time. While the app only serves from 12 restaurants near campus, on campuses where the app is more popular, like the University of Southern California, the app supports around 22 different restaurants, including Starbucks, which can be delivered straight to the dorm rooms. There is a service fee, but compared to other food delivery apps, like Zifty, the fee is minimal. Plus, it most likely is paying another college student, maybe even someone you know. The app has 58 five-star reviews from colleges across the nation, raving about how quick and easy the service is. Most of the lower rated reviews cite that their food order was incorrect, which may be more on the fault of the driver rather than the app. The company has also addressed this by adding a receipt confirmation that verifies the user’s order.